Just to give you an idea of how far behind I am on writing, here is a post from Christmas 2014! 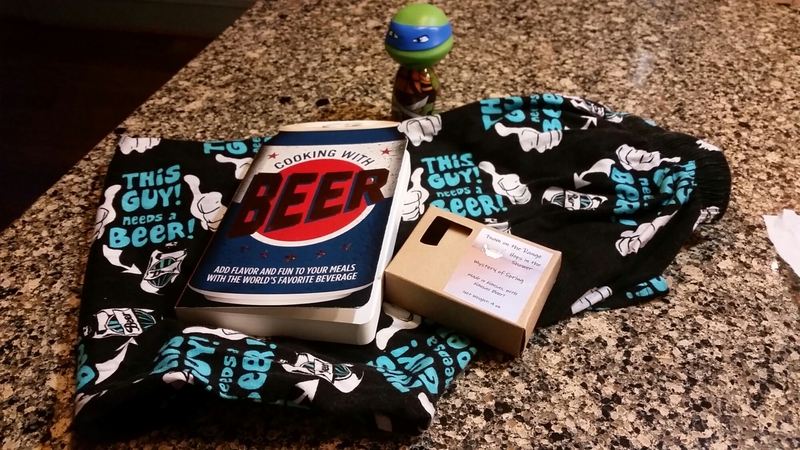 It never fails that I’m going to get some beer related gifts for Christmas, but this year the beer gifts started on Christmas Eve with pajama pants sporting “This Guy Needs a Beer!” for their mantra. 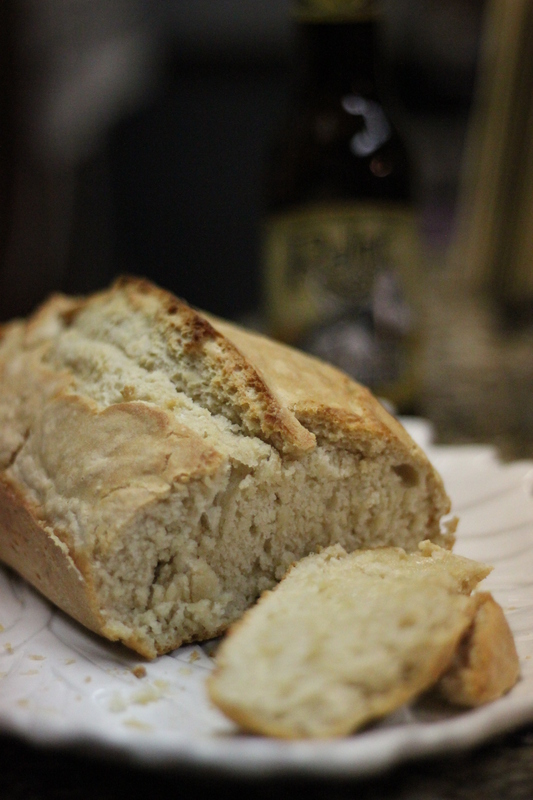 My mother-in-law made bread with Rahr Brewing’s Blonde Lager!